2011 sophomore album from the British band led by singer/songwriter Florence Welch. Ceremonials is a stunningly accomplished record by an artist teetering on the wind-blown top of her game, an extraordinary testament to what Florence refers to as "my incorrigible maximalism". The pounding epiphanic positivism of `Spectrum'; the galloping massed-ranks majesty of `All This And Heaven Too' and `Shake It Out'; the triumphant emotional battle cries of `No Light No Light' and `Heartlines'. 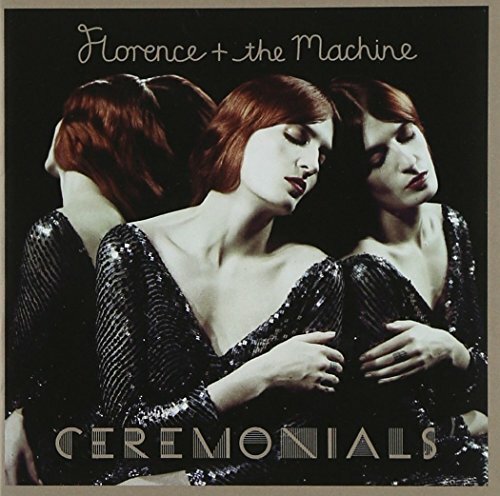 Spend a little time with Ceremonials and what strikes you first and foremost is the apparent confidence of its execution. Recorded with her full band over five weeks this summer in Abbey Road's legendary Studio 3, Ceremonials is another product of her long-running collaboration with producer Paul Epworth. Together they've created an expansive art-pop vision that can be both captivatingly tender while still frequently soaring to places where it can overwhelm the senses like an emotive tidal wave.